Create a Luau tropical memory for your guests with our Luau party supplies and decorations for a realistic tropical experience for friends and family at your home or any venue for family and friends. 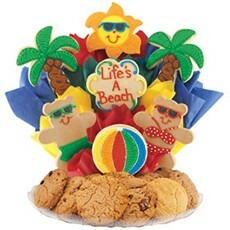 Luau party decorations are great for any occasion. Our exclusive Tropical Luau Vertical Invitation features pink, purple and blue hibiscus flowers with palm tree accents. Best of all, the invitations can be Personalized with your own custom text. Each Personalized Tropical Luau Invitation measures 6 1/2 inches long x 3 1/4 inches wide and includes a white envelope for mailing. Your party guests will not be able to resist your party when they open these cute party invitations. this Pineapple Balloon Arch features an arch of gold and green latex balloons between two of our Pineapple Standees. The one-sided pineapple balloon entrance measures 9 feet 4 inches x 10 feet wide and includes thirty-six each of metallic green and gold balloons. The free-standing Pineapple Balloon Arch is perfect for photos and will transform any entrance into a tropical paradise. Our Luau party banners are designed with to perfectly with Luau, tropical, Hawaiian and Tiki party themes. Each banner has a reserved area for you own Personalized message. Most banners are made of heavy-duty weather resistant vinyl. Transform your room or venue backdrops with our tropical luau backgrounds or murals to be perfect backdrops for our luau or tropical prop standees and decorations. Our Luau tropical props include standees to create a realistic luau island atmosphere for your guests with Hawaiian, tropical and tiki accents. .
time to celebrate with our tropical luau theme balloons. These balloons are colorfully decorated to create a light hearted fun and excitement for a perfect Luau, or Beach, or Tropical Party. Guests will enjoy the opportunity to have a fond memory of your Luau island party with our Luau tropical theme photo op stand ins. Brightly colored Luau Hanging Decorations feature hibiscus, lanterns, hula girls and other tropical theme danglers. Our Luau theme tableware selections come in different size kits each servicing 8 guests, cutlery, tablecloths, napkins and cups. Depending on the size of the kit they come with different accessory decorations. Each are budget minded. Our Luau party favor selections are novelty favors, candy bars, lollipops, coasters, key tags, favors containers and more. Celebrate the tropics with Personalized candy bars. Candy Bar features a tropical pattern. Add your own special message (2 lines of text) on both the front and back of these one of a kind chocolate bars.